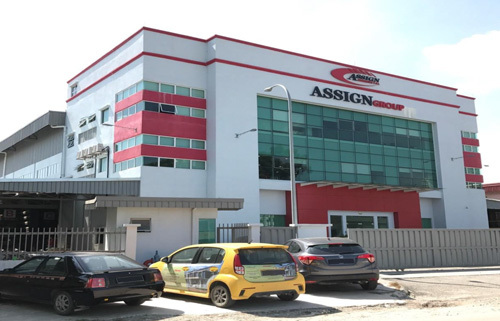 Action Bolts & Nuts Sdn Bhd is under umbrella of the Assign Group. 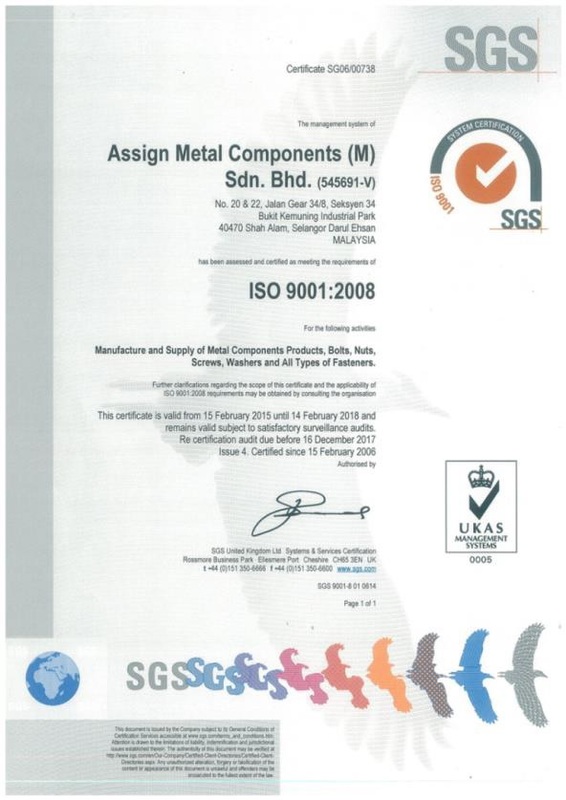 Assign Metal Components Sdn.Bhd. established as a Manufacturing Organisation with more than 20 years of experience in the manufacturing and fabrication of metal components & parts to fulfil the high expectation parts of industrial needs to harness technology in today global marketplace. A “ Licence Sales Tax Manufactures “. 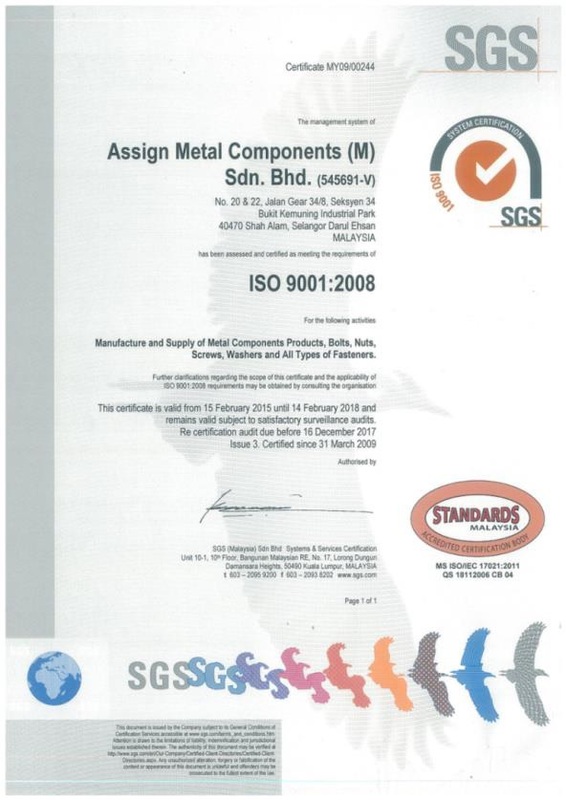 Assign Metal Components (M) Sdn.Bhd is a certified Quality Management System (QMS) and had obtained ISO 9001 : 2000 since 15 February 2006.Majority trading’s products are either import from overseas or from local qualified manufacturers. 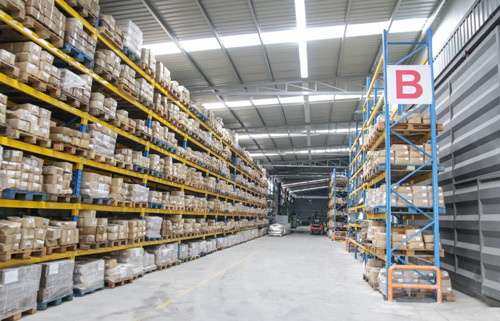 Established in 2003, Action Bolts & Nuts Sdn Bhd has expanded rapidly to become one of the largest stockist, distributor and manufactures of a wide range of industrial fasteners, and specialist in Standard, Non-standards and customised Fasteners. We target as a local fastener retailer that has steadily grow to our present covering multi business segment. We also cater to customers with the special parts or custom-made parts for assembly requirement in various industries manufacturing. Action Bolts & Nuts Sdn Bhd is committed to work towards full comprehensive range in stock items and be recognised as a preferred supplier in the region. To recognised by all customers as a Prefer Fastening Partners in their fastening needs by providing a wide range of fasteners with best technical support, cost, quality, delivery and services. To be the leader in fasteners business in the region by providing swift delivery, quality products, value added and customers care service. TOSHIBA TRANSMITION & DISTRIBUTION SYSTEM ASIA SDN.BHD. 32, Jalan Tiaj 2/1, Taman Industri Alam Jaya, 42300 Bandar Puncak Alam, Selangor, Malaysia.